The fundamental principle of the Chinese science of well being relates to the contradictions (Yin and Yang) that exist in every living creature. Yin and Yang is an energy system that explains the polarity of feminine and masculine (resp.) in our world. Both forces are opposing forces yet at the same time they complement each other. Yin & Yang are so entwined that one cannot exist without the other. They are irrevocably two parts of a whole. Tianshi has developed products whose purpose is to balance energies between Yin and Yang. For Example, On the one hand, too much heat destroys organic life. On the other hand, very low temperatures also bring life to a complete halt. 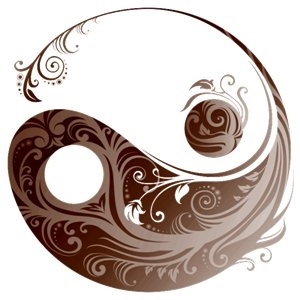 All Tianshi products incorporate this basic principle- the balance of Yin and Yang and their symbiotic connection. According to ancient Chinese philosophy, the physical universe is made up of five elements metal, wood, water, earth and fire. Together with the yin and yang theory, the five essential element theories are considered one of the most important theoretic platforms of traditional Chinese science. Chinese teaching shows us that the five elements of nature influence ideal well- being, together with the theory of basic yin yang balance, which must also be maintained. The five elements are in fact a symbolic depiction of the internal structure of the body reflecting the mutual dependence of the organs and systems within. One of the most important concepts regarding Yin and Yang and the theory of the five elements is the concept of “Entirety. A System consists of parts that cannot be separated from each other. The problem experienced by one organ has consequences for the other and as a result, the whole body has to be examined.